Fast, easy, and effective water purification from MSR! From the high mountain passes of Peru's Cordillera Blanca to high-traffic wilderness areas closer to home, Aquatabs water purification tablets quickly and reliably purify drinking water on-demand. Fast, easy, and effective water purification from MSR ! 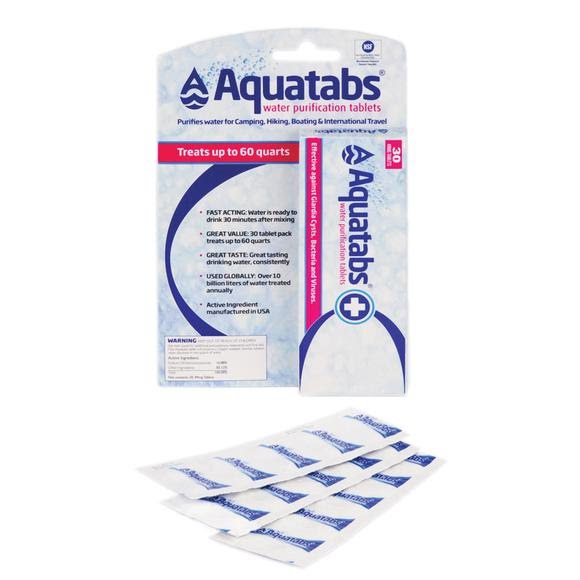 From the high mountain passes of Peru&apos;s Cordillera Blanca to high-traffic wilderness areas closer to home, Aquatabs water purification tablets quickly and reliably purify drinking water on-demand.